But if you are doing any patching then after patching this Time zone will get changed. So this method is not perfect one. Method 3: Command line tools. Look for the string lock= in the affected ESX hosts .vmdk file. This IP address is the IP of the ESX host that created the lock. Note: lock= 0.0.0.0 indicates that a file is not locked by another host. How to check VMDK fiel locked or not ? The owner 4655cd8b-3c4a19f2-17bc-00145e808070 indicates that the MAC address of the ESX/ESXi host locking the file is 00:14:5E:80:80:70. Note: If the owner has the entry 00000000-00000000-0000-000000000000 it indicates that the file has either a read-only lock or a multi-writer lock or there is no lock on the file. mode 3 = is a multi-writer lock (e.g. used for MSCS clusters disks or FT VMs). 4.Once identifed the process which is locking VMDK , we can kill that using #kill -9 PID. Note: Prior to restarting the entire VMware ESX host, restart the management agents. For more information see Restarting the Management agents on an ESX or ESXi Server (1003490). 1.Migrate all virtual machines from the host to new hosts. If you have only one ESX host or do not have the ability to migrate virtual machines, you must schedule a downtime for all affected virtual machines prior to rebooting. When the host has rebooted, start the affected virtual machine. 1.What are LVM1 and LVM2? 2.What is the maximum size of a single LV? 3.List of important LVM related files and Directories? 4.What is the steps to create LVM in Linux? 5.How to extend a File system in Linux? 6.How to reduce the File system size in Linux? 7.How to add new LUN from storage to Linux server? 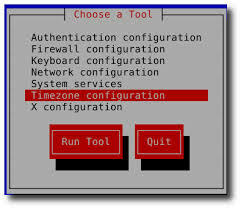 8.How to resize root file system on RHEL 6? 9.How to find server is configured with LVM RAID ? 10.How to check Linux server is configured with power path disks? 11.How to check server is configured with Multipath disks?? LVM1 and LVM2 are the versions of LVM. LVM2 uses device mapper driver contained in 2.6 kernel version. LVM 1 was included in the 2.4 series kernels. For 2.4 based kernels, the maximum LV size is 2TB. For 32-bit CPUs on 2.6 kernels, the maximum LV size is 16TB. For 64-bit CPUs on 2.6 kernels, the maximum LV size is 8EB. consider the disk is local. Press "n" to create new partition. And mention the size / allocate whole disk to single partition. and assign the partition number also. #press "t" to change the partition as LVM partition. #Enter "w" to write tghe information on Disk. Create logical volume from volume group by “lvcreate” command. Now create file system on /dev/sda2 partition by “mke2fs” or "mkfs.ext3" command. 1.First we need to reduce the file system size using "resize2fs"
2.Then reduce the lvol size using "lvreduce"
Step 1: Get the list of HBA and exisiting disk details. 1.How to check linux LVM RAID ? In disk we will get the device names like /dev/md1 , /dev/md2 . It means LVM RAID disks are configured and its added to Volume Group. 1.Check power path is installed on server? 2.Check the power path status on server? In disk we will get the device names like /dev/emcpowera , /dev/emcpowerb . It means powerpath disks are configured and its added to Volume Group. If multipath disks are added and configured with VG then we will get disk paths like /dev/mpath0 , /dev/mpath1.